Giant balloons draw oohs, ahhs at Macy’s parade Spectators of all ages oohed and ahhed as giant inflated characters floated through the streets of Manhattan during the Macy’s Thanksgiving Day Parade. Thursday’s spectacle featured six new giant balloons, including Thomas the Tank Engine, Paddington bear and the Red Mighty Morphin Power Ranger. It was around 37 degrees with a hint of drizzle and light winds as clowns shot a burst of confetti from canisters to get the show rolling. 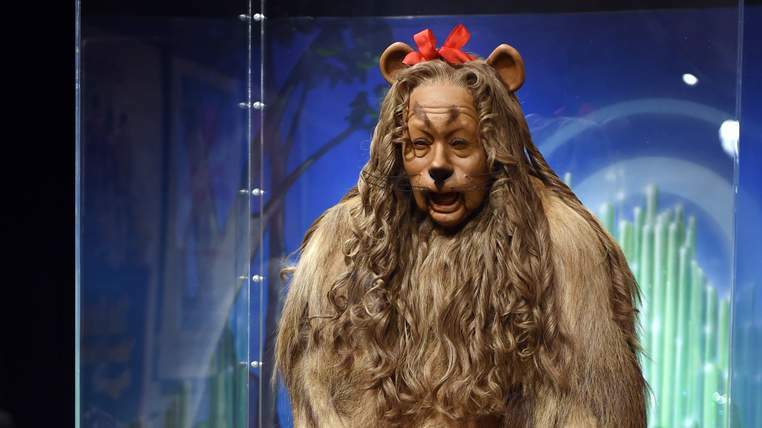 Wizard Of Oz’s Lion Costume Sells For Over $3m A mystery bidder showed courage as he kept his nerve to secure the Cowardly Lion costume from the Judy Garland classic movie The Wizard Of Oz for over $3m at auction. The big cat outfit was worn by Bert Lahr in the 1939 film and sold on Monday at Bonhams in New York. It is made out of real lion hide and fur and was discovered over 20 years ago in one of the oldest buildings on the MGM lot. It is not known who paid $3,077,000 (£1,962,734) for the item. A spokesman for the costume’s previous owner, James Comisar, said a secondary costume used in the film was sold at auction in recent years for close to $1m. Reimagining the classics: Keep Memory Alive patients, caregivers create calendar as a fundraiser Patients and caregivers at our downtown Keep Memory Alive center, some in their 80s and 90s, have transformed into movie stars in a fundraising effort that at the same time has helped improve their brain health. They posed, preened and, just like the cinema legends themselves underwent lavish makeup and luxurious wardrobe for an extraordinary set of remarkable photographs created and captured by Las Vegas photographer Denise Truscello. Denise told me: “This was the most emotional shoot of my life. Fragile, sometimes-lost people turned into pillars of strength and confidence right before my lens. It was an experience I will always treasure and never forget. They taught me so much, so I am very proud of what we captured.” The end result with the mostly elderly patients was a beautiful achievement, a 32-page calendar that goes on sale this week. Thanks to volunteer work by Las Vegas supporters of Keep Memory Alive, 100 percent of the $20 calendar sales price goes expense free to the work at the Cleveland Clinic Lou Ruvo Center for Brain Health in downtown’s Symphony Park. 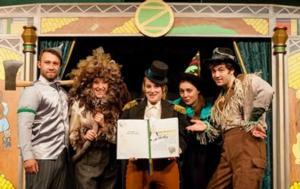 Wizard of Oz-Inspired The Woodsman to Return to 59E59 Theaters The Woodsman, a twist on the famous character from L. Frank Baum’s The Wonderful Wizard of Oz, will return to 59E59 Theaters next year following a sold-out run at the same venue in January 2014. The production will play a January 13-February 22 engagement in Theater B. 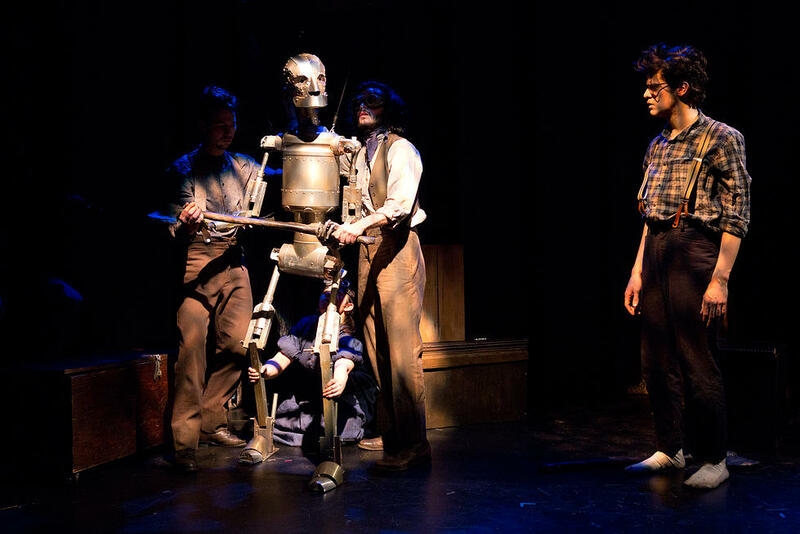 Written by James Ortiz and directed by Ortiz and Claire Karpen, the play with music (by Edward W. Hardy and Jennifer Loring) tells the story of the lonely Tin Woodsman of Oz, who must embark on a journey to protect the love of his life from the evil Wicked Witch of the East. ‘Have you seen the lion on State Street?’ Artist John Simpson paints iconic ‘Wizard of Oz’ character in downtown Springfield Just a few hours ago a blank wall on State Street was transformed into a whimsical image of the Cowardly Lion as portrayed by Bert Lahr in “The Wizard of Oz.” The painting was done by John Simpson, a local artists and University of Massachusetts art professor, who also painted the images of musicians on buildings in Court Square during Springfield’s first Jazz and Roots Festival this summer. The painting is on a wall on the back of the vacant former hotel at Court Square, near the Hampden County Superior Court building. Simpson said the painting is a nod to MGM, which will be building a casino in the city. The American musical fantasy film was produced by Metro-Goldwyn-Mayer (MGM) in 1939. Generation Oz: The Wizard of Oz Redesigned Over 25 local artists have created more than 25 custom art pieces, each incorporating a quote from the original screenplay. Art pieces will be displayed sequentially so that the public can read the story as they move through the exhibit. The art show will run this weekend November 21st to 23rd at the Walkerville Brewery, in conjunction with the Made in Windsor Walkerville Holiday Sale. The show concludes in a closing reception and silent auction on November 23rd from 2pm to 5pm. The closing reception is free, open to the public, and will include light refreshments and Wizard of Oz-inspired decor. More information can be found online. Napa’s Wizard of Oz Winery Makes Cult Cabs Worth the Price Maybe you’ve had it with wallet-emptying, soulless Napa Valley cult cabernets that aren’t worth their three-digit price tags. Me, too, but I’m not giving up on the truly good ones, like Scarecrow, whose origins lie in a historic Hollywood story and a dusty vineyard in Rutherford with stumpy 69-year-old vines called `old men.’ Lopez, a well-known commercial photographer, was all in black, fiddling with the Marc Jacobs tassel bracelet circling his wrist as he shared the winery backstory. His grandfather Joseph Judson Cohn, a New Yorker who went to work for Louis B. Mayer at age 19, ended up a mogul at MGM Studios, where he produced Ben-Hur, Mutiny on the Bounty, and The Wizard of Oz. In February, Lopez and DeBlasio were in happy shock at the Premiere Napa Valley barrel auction when a Los Angeles retailer bid $260,000 for a 5-case lot of their one-of-a-kind 2012 Toto’s Opium Dream, Scene III, made from Scarecrow’s oldest vines. Wine Warehouse is offering it for $5,400 a bottle. That makes the regular 2012, to be released in March at $285 a bottle, seem like a bargain. At $150, the lighter, almost-as-good second wine, 2012 M. Etain (French for “Tin Man”) is a steal. 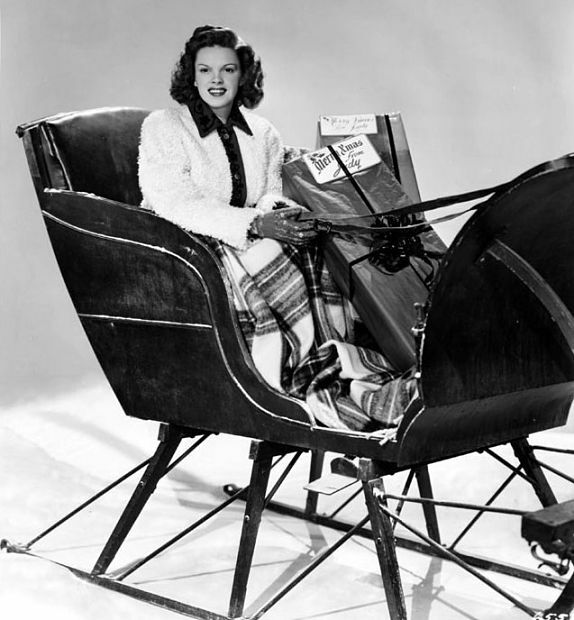 Judy Garland, Nat King Cole, and Other Christmas Icons to be Honored at Hollywood Museum Exhibit The exhibit opens on Thursday, November 13, with a special ceremony and cocktail party. Stars to be showcased at this year’s holiday extravaganza include Karen Carpenter, Bing Crosby, Judy Garland, Perry Como, Nat King Cole, Vera Ellen and Mel Torme, all of whom have become synonymous with Christmas. ‘Tyrone Power: Man, Myth and Mayhem’ will also be premiering that evening celebrating the 100th anniversary of Tyrone Power. Bob Pranga, better known as ‘Dr. Christmas…Tree Stylist to the Stars’ is decorating for both the museum and this event said, “because all of these stars have been at the very heart of our Christmas experience, this provides a great opportunity for families to come and experience the magic of Christmas with a little Hollywood glitter, because everyone loves the holidays, and everyone loves Hollywood, it’s a perfect combination.” The Hollywood Museum, the official museum of Hollywood, has the most extensive collection of Hollywood memorabilia in the world. The museum, featuring four floors of breathtaking exhibits, is home to more than 10,000 authentic show biz treasures- one of a kind costumes, props, photographs, scripts, stars’ car collections and personal artifacts, posters, and vintage memorabilia from favorite films and TV shows. The museum also showcases the history of Hollywood and the Hollywood Walk of Fame. There’s No Place Like Hollywood Auction Set for Monday, Nov. 24 in New York The original Cowardly Lion costume worn by actor Bert Lahr in the beloved classic The Wizard of Oz (1939) is ready to be crowned “king of the forest” during TCM Presents: There’s No Place Like Hollywood, a definitive auction of rare movie collectibles to be held at Bonhams in New York on Monday, Nov. 24. Fans can check out the Cowardly Lion costume and many other items from the auction during a pair of preview exhibitions to be held at Bonhams’ locations in New York (Nov. 20-24) and Los Angeles (Nov. 6-9). 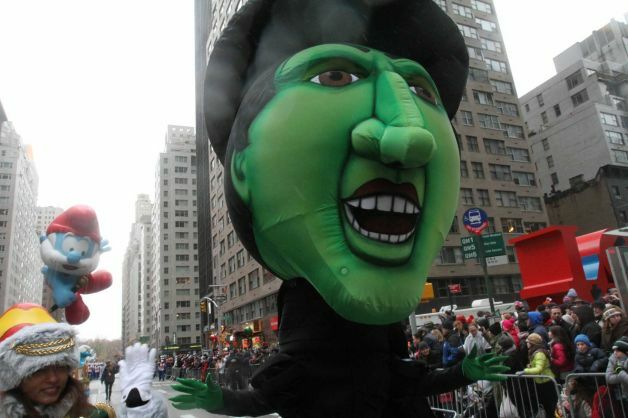 In addition to the Cowardly Lion costume, the auction will feature Wizard of Oz memorabilia such as actor Bert Lahr’s original script; the Witch Remover prop wielded by the Cowardly Lion in pursuit of the Wicked Witch; a Winkie spear head; and an assortment of memorable Munchkin, Flying Monkey and Emerald City costumes. As previously announced, the sale will also feature a blue gingham “test” dress and pinafore worn by Judy Garland as Dorothy during the essential pre-production period, when costumes, hairstyles and all artistic aspects of moviemaking are refined prior to filming. 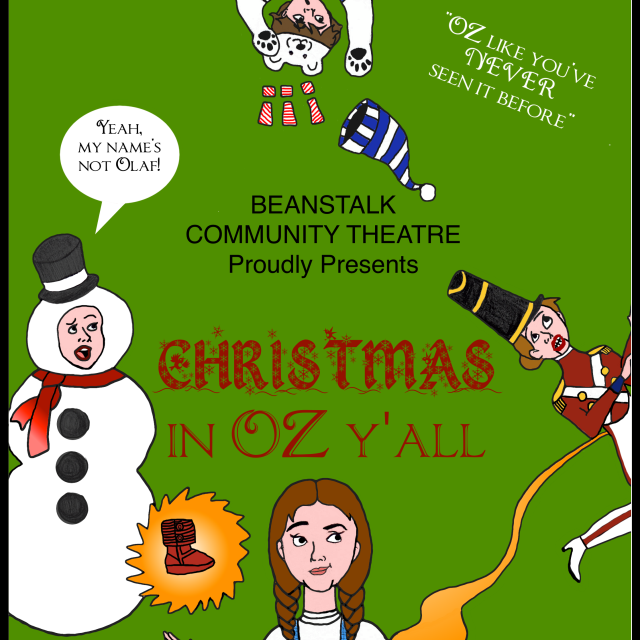 BeanStalk Community Theatre’s Holiday Production, ‘Christmas in Oz, Y’all!” “I have always loved The Wizard of Oz, and I wanted to put a North Carolina twist on it,” said Amy Beane, director of the production, who also wrote the play. “This is truly going to be Oz like you have never seen it before. All of the characters from the movie have been replaced with Christmas characters, and we have added other characters too.” The show is unique because the cast is made up of only children between the ages of 4 and 17. Zynga launches Wizard of Oz Slots for mobile Zynga has launched a new mobile social casino game where you can travel through the Emerald City. The Wizard of Oz Slots is the latest game that the publisher has launched on mobile as it tries to get its mojo back in the social-casual gaming business. The game will be available on the App Store for iOS devices as well as the Amazon App Store for Kindle devices. 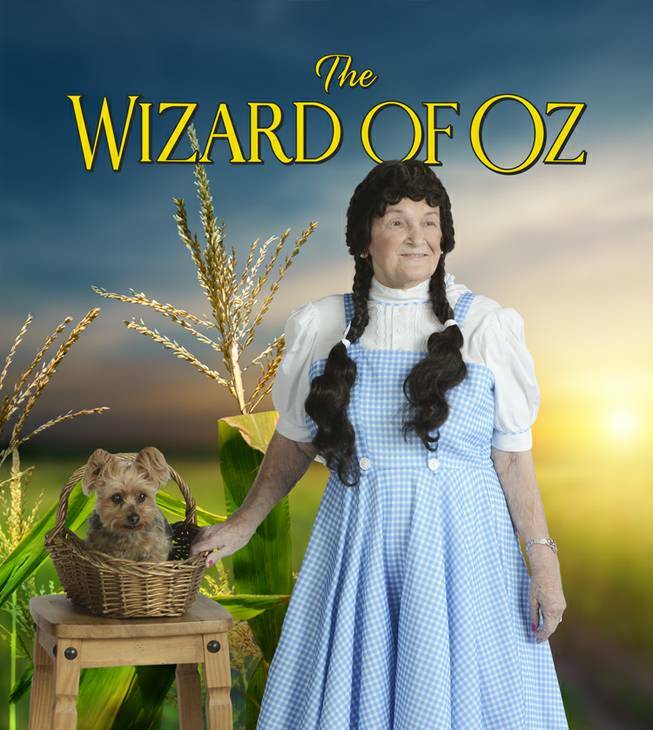 The Wizard of Oz Slots is part of the Hit It Rich casino games, where you can purchase chips with real money but cannot cash those chips out for real-world cash. Zynga aims to provide an authentic, arcade-like casino slots experience for Wizard of Oz fans. Each machine is based on a major chapter in the Wizard of Oz. So grab your ruby slippers.